With the NBA season in full swing we revisit how the league and teams are promoting and integrating social media on their websites. Similar to our initial post on the “NBA & Social Media Integration” from last year, the focus of this study is strictly on the league and team websites: how they promote and integrate social media on the website. All findings are based on research of team sites on November 20-21, 2013. Universal top bar includes: Facebook Like, Follow @NBA, and +1 buttons. 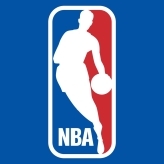 Home page includes callout to “Follow the NBA” with Twitter and Facebook feeds. Also includes a “Follow NBA on Facebook” callout. Home page includes two callouts (used to be sponsored by Sprint): Social Spotlight (used to be Twitter Feed) and NBA.com Pulse. Social Spotlight page shows a feed 12 Instagram images tagged with #NBA (used to be a Twitter Feed). NBA.com Pulse page ranks trending players – mentions per hr viewable in Grid or List. Perhaps telling the importance the NBA puts on social when you have to goto the “More” dropdown to see a Social Media header – includes links to Facebook, Twitter, Instagram, Pinterest, Tumblr, Social Spotlight, and NBA Pulse. When we last looked at the NBA Team sites (May 7-9, 2012) they had 143, and now they’ve moved up to 181. *Reminder these are activations promoted on their team site. Tumblr had a 50% jump going from 4 teams to 8, but still shows low traction among teams. Four teams (Warriors, Lakers, Sixers, Kings) include promotion of Vine on their website. The Nets were the first to promote SocialCam, but have since dropped it from their website leaving the Bucks as the only team to integrate it. Nets and Blazers dropped promotion of Pinterest. Mavs and Bucks dropped promotion of MySpace – no idea why they promoted pages on the old MySpace. 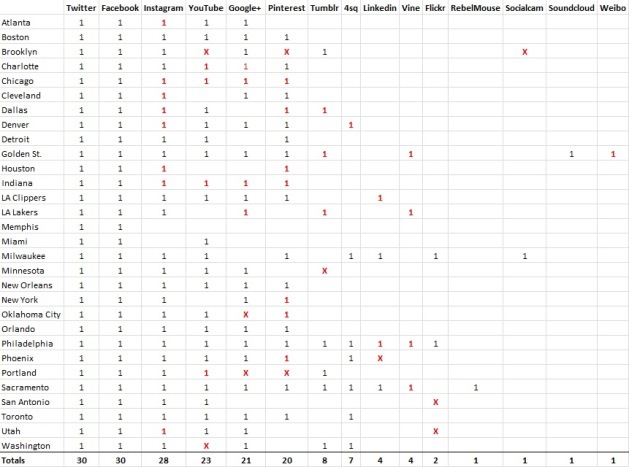 The Warriors were the only team to promote channels for Weibo and Soundcloud. The Kings always proactive in trying new channels, dropped promotion of PicPlz, Get Glue, Wayin and Viddy, but added RebelMouse. Last time we reviewed the teams, only 14 had included this no-brainer feature. Amazingly this time around only 4 additional teams included this. Teams are literally dropping the ball by not doing this. Atlanta, Chicago, Golden St., Indiana, LA Clippers, New Olreans, Portland, Toronto, Utah were new additions. Brooklyn, Cleveland, and Minnesota removed their main navigation promotion. Milwaukee changed from Bucks 2.0 to Social Media. Orlando changed from Be Social to just Social. Phoenix changed from Social Media to just Social. We’re still not fans of how the Hawks have their hub setup creatively or the content depth, but we love that their hub includes a sponsor – Georgia Lottery. Every team’s social media activations should be sponsored (either individually, or as a group) with recognition on the specific channel as well as the team site. The Hawks include a “Social Spotlight” module on their home page that features a rotating Twitter images and Tweet feed. Better option might be a static Instagram feed instead of the Twitter images as there aren’t enough to consistently show new images in the rotation. The Hawks showcase six of their players on Twitter via modules that include an image and scrollable tweets feed. Some confusion in how they promote this page though. Under Team it’s “Hawks on Twitter”, and under Social it’s “Players on Social” with “Hawks on Twitter” linking out to their team Twitter account. Last year the Nets were applauded by us for their integration of bigger icons on their home page to call attention to their social channels, but they’ve since removed that feature; stopped promoting social in their main navigation, and they also dropped promotion of three channels (YouTube, Pinterest, Socialcam). A couple teams include an Instagram feed in their site, but the Nets go one step further by including a presenting sponsor. While really like the sponsor integration their feed has a couple issues: 1. 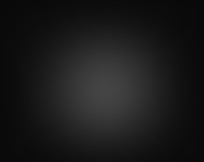 The last image is from November 1st so it fails the frequently updated test; 2. They ask fans to tag photos with #NetsNation and #HelloBrooklyn, but of the images we clicked on, none of them used those tags. Within their Team section they include a Twitter directory and Bobcats Family list feed. Other teams have done this (ie Bulls – Players on Twitter), but credit to the Bobcats for their creativity in naming the page “Tweet Sheet”. The Bobcats highlight one Lady Cat each week during the season as a Social Media Sweetheart. Really like the concept, but feel it should have more social media or tech related questions to better tie-in the name. Also mistake to only promote this within a rotational viewer on the Home Page, should be included in the Lady Cats section. Cavs were the only team to include a hashtag in the universal header – #AllForOne. Title is a little misleading because the page only includes Facebook cover images. They include a template theme featuring each player. Kyrie Irving is your superstar so expected to see more images of him. For starters props to the Mavs on their new responsive site design & build – well done! Within their “Interactive” section the Mavs include a somewhat unorganized SM All-Stars Page. The top includes info on last night’s game, followed by a current feed of fan Tweets and Instagram photos. Below that they ask if you’re a SM All-Star, and list events you’ll be invited to. They list three dates and handles that were selected to attend their Media Day on Sept. 30th. No info on how you submit to be an All-Star, the selection process, etc. and all three dates are now past. Also within their “Interactive” section they outline how you can tweet your seat during the game for a chance to win prizes. They require you to fill out a short form on the page, and within your tweet you must include a photo at the game. Cool promotion, but would like to see a list of winners/prizes showcased too. Infographics provide great content to share across social media channels. You can share the full infographic or break it up to have multiple share opportunities. Within the college segment you even see them share pre-game, in-game, half-time and post-game. We provided three examples here – the Pistons provide some unique player and story ones; the Pistons showcase their wins throughout the season; and the Lakers provide a combo of game recaps, player-focused, and story ones. The Nuggets do a cool feature where they recap Twitter and Instagram activity from their players each week. They promote it on their Home Page in the top rotational viewer, but they don’t include it in the main nav “Social” section dropdown = missed opportunity. The Warriors do a really nice job of showcasing their social media efforts in this section. They promote all their active channels; promote Gameday-related social features (Facebook Check-In, #WarriorsGround, Hashtags); include a directory of players on Twitter; and showcase five of their social activities (Social Media Night, 3-Point Play for Social Journalists, Tweedia Day, #GSWTweetup Night, and #DubTheVote). The Warriors just have an all-around strong integration strategy: they promote their social channels throughout the website, they include a main nav section for social, and they properly showcase all their SM-related activities. We’ve never been fans of the puzzle format for social feeds, but the Mavs, Pacers, and Suns showcase a similar feed on their websites for fans to follow along. Kind of surprising to not see this from every team, but great way to showcase your Instagram account is via a full page feed on the site. Similar to previous example, expect to see this feature on every team website. Great opportunity to showcase fans asking them to tag their images with a branded hashtag. We would also recommend going a step further and creating hashtag albums – easier to showcase promotions and sponsors, and provides greater content depth around Instagram. For reference, here’s an example of the Instagram hashtag albums and video gallery we created for the Northwestern Football Program. Similar to the Hawks, really like how the Clippers have integrated Sprint as a sponsor for their quasi-hub. Would love the opportunity to redo the Hawks and Clippers hubs, could provide more value to the sponsors with better conceived and developed pages. The Magic provide us with a page dying to be made into a hub. They’ve branded it, just need to develop out the page properly – if all you’re going to do is put icon links on a page, why not put them in your universal header. Sixers have an eerily similar hub design to the Warriors, not there’s anything wrong with that. They also provide a good example of why we call it “puzzle display” feed. 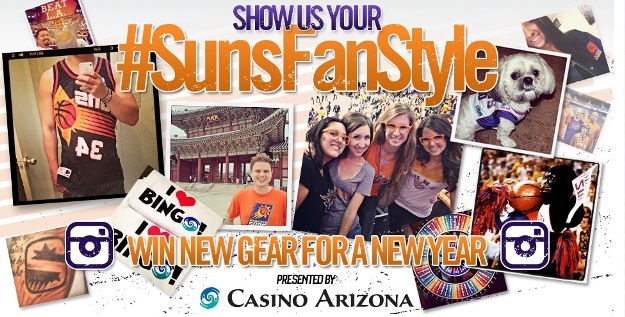 Good example by the Suns of an Instagram-based hashtag promotion that also integrates a sponsor. The promo is now outdated, but the Suns did a good job integrating doodle.ly by asking fans to doodle what their new jerseys should look like and tagging it with the #SunsJerseyDoodle hashtag for a chance to be featured on the site. The Suns are surely not the only team to do this, but since we just profiled two of their features we’ll use them as an example. Important reminder that if you have an active channel, you need to promote it. The Suns have active accounts on Pinterest and Instagram, but when you rollover their main navigation “Social” tab, they don’t include a link for either. The Blazers do a good job of tagging their Retro Rip city videos with the #TBT hashtag – provides a great opportunity for the team or it’s fans to share on Thursday’s. Example of another social media hub version from the Blazers. Too many teams use small text links in their footer, nice job by the Kings of creating a universal full Social Footer to promote their channels. Similar to the Warriors, the Kings do a really nice job showcasing all their social channels and efforts. The Kings were the only team to feature a RebelMouse social feed page (puzzle format). The Spurs do an interesting thing by showcasing their Instagram account, because when you click on the icon you’re taken to a Tumblr page that has been to use as a Instagram gallery feeder to the site. Similar to the Hawks the Wizards showcase their players on Twitter via modules that include an image and scrollable tweets feed.